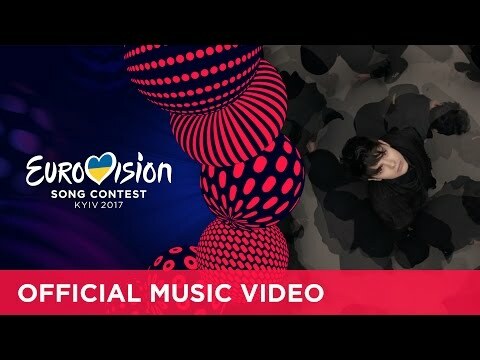 Don’t underestimate Bulgaria in the ESC! Since last year we know that it’s possible to reach a top 10 position with a good singer, a great song and a perfect production. Poli Genova made a wonderful 4th place in Stockholm and her song “If Love Was A Crime” was one of the most memorable entries of the year 2016. Like last year the Bulgarian broadcaster BNT made an internal selection. This seems to be a wise decision as it was so successful last year. This time one of the most beloved young stars from Russia has been chosen. Kristian Kostov is just 17 years old and is Bulgarian-Kazakh origin. Kristian Kostov was born in Moscow in 2000. In the age of six he already joined a band Neposdey. In 2014 he participated in The Voice Kids, where he was coached by the former ESC sinner Dima Bilan. At the X Factor in Bulgaria he reached the 2nd place. His first single “Ne si za men” was #1 in Bulgaria for two weeks. His song “You Got Me Girl” was watched by 6 million viewers on YouTube. Kristian is also a songwriter and he is known for his ballads. He is a big star for young girls and an idol, too. The Bulgarian entry is called “Beautiful Mess”. This is a really beautiful and touching love song. Despite Kristian’s young age it has an authentic and believable impression. The song is about the value of an untouchable love. Due to Kristian’s popularity in Russia and Bulgaria he already is number 3 in the betting. And it is to be expected that it will receive a lot of points from the Eastern European countries. At least the young European girls will grab the phone for him and vote as well as the juries. So don’t underestimate Bulgaria this year again! Bulgaria takes part for the 11th time in the Eurovision Song Contest. Congratulations! Bulgaria has paused in the last two years 2014 and 2015, but is back since 2016 and will be among the 62nd edition of the ESC in Kiev. Interesting to know that Bulgaria had its debut in Kiev in 2005, 12 years ago. The Bulgarian debut entry “Lorraine” by Kaffe was a wonderful song and unfortunately this entry has not qualified for the Grand Final in Kiev. Since then Bulgaria is always trying to participate. The neighbour country Romania has already joined the ESC family in 1994. The biggest success so far was last year’s performance of Poli Genova with “If Love Was A Crime” – a spectacular pop production. Never, Bulgaria was so close to victory, at the end Poli made a wonderful 4th place. And not to forget the extraordinary drum performance “Water” by Elitsa Todorova & Stoyan Yankulov in Helsinki 2007, they made a great 5th place. Bulgarian entries showed different music styles over the years. Unfortunately, not all songs matched the European taste. If there is an international production like last year, the chances for a good placing are a lot higher. The verve for the ESC in Bulgaria has increased from year to year, even if Bulgaria did not make it into the Grand Final.